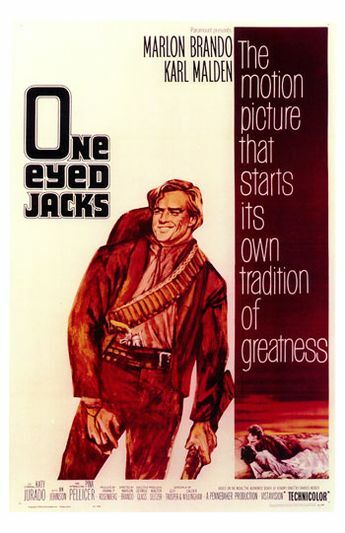 One-Eyed Jacks, a 1961 Western, is the only film directed by actor Marlon Brando. The picture was originally planned to be directed by Stanley Kubrick from a screenplay by Sam Peckinpah, but studio disputes led to their replacement by Brando and Guy Trosper. Brando portrays the lead character Rio, and Karl Malden plays his partner "Dad" Longworth. The supporting cast features Katy Jurado, Ben Johnson, and Slim Pickens.